I was surfing through the CRD forums when I noticed a post by 'retmil46' that he had found a larger oil filter that will fit the CRD. The filters are made by Wix, which is a reputable brand. 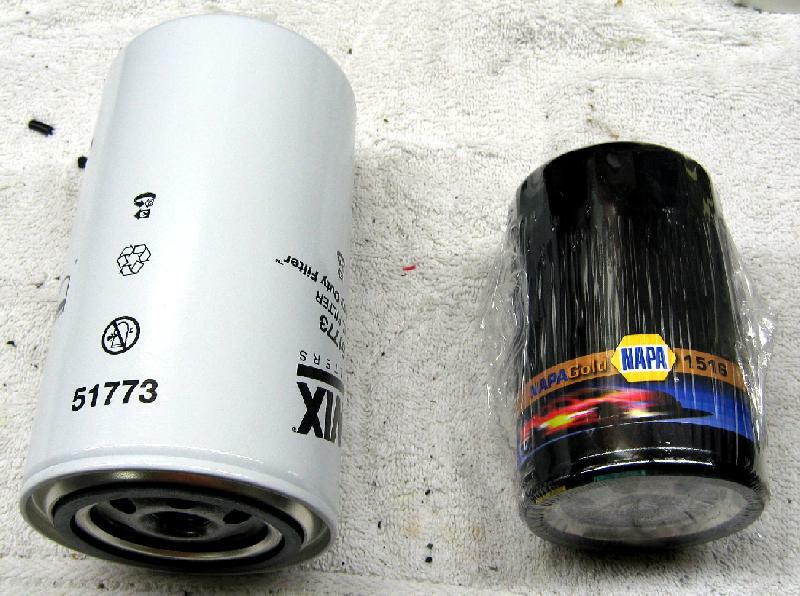 Here is the larger filter (Wix P/N 51773) compared to a 'normal' size filter (and I think this NAPA gold filter is slightly larger than the factory filter). The larger filter is supposed to hold 1/2 quart more oil and bring the total oil capacity of the CRD to 7 quarts.